What would you say if I told you, there’s a simple hack you can use to double your PR results, and your PR agency doesn’t even know it exists? This hack will 100% increase your chances of getting coverage for your startup’s next feature update or funding story. So, what do you say? Do you want to improve the likelihood of getting press coverage? PR is a great way for early stage startups to grab the attention of new potential users and gain interest from relevant investors. Even though doing a soft launch has become a trend lately. Eventually, you want to get the news about your company out there. After all, having a product nobody’s heard of, doesn’t count much as a success, does it? Brand awareness is important. You can run a Facebook ad campaign to raise awareness – still, it doesn’t make the same impact. But why do startups avoid hiring a PR firm? The first one is that a good PR firm is usually pricey. Second, is that even with the best PR firm, you’re not guaranteed to get results. I’m not saying you shouldn’t hire a PR firm (Though you should be very careful when making your choice). You’ve probably already gone through hundreds of guides on how to do startup PR and read about the different PR strategies you can use, But still, sometimes you need some leverage. The PR hack I’m about to share with you is one you can do entirely on your own, without hiring any PR firm, and it would still work. If you’re already paying a fancy PR firm, you can easily wait for after they finish their cycle and then use the hack, or simply share it with them and let them execute it. Just one warning though, straight forward PR pitching won’t work with this hack – so ask your firm to review their pitch email before they send it. To understand this PR Hack., you first need to know what’s the PR process most big firms work by today. Different PR agencies obviously have different methods for doing their PR cycle, and it’s usually based on a cohesive strategy. 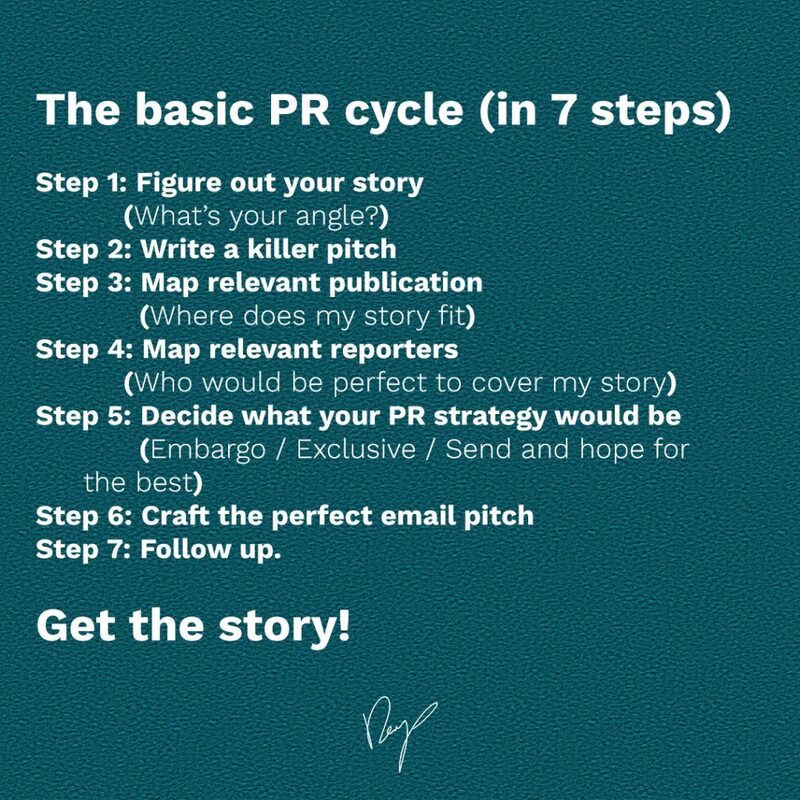 Step 1: Figuring out the story (Angle) – The first step in every successful PR outreach is figuring out your story, and making sure it’s worth pitching. Step 2: Write a PR pitch – Now that you have your angle, you have to put in words and write your story in a way a journalist can’t say ‘No’ to it. Step 3: Map relevant reporters – This is where most startups who do their PR get it wrong. Even if they have a good story, they don’t always make sure they target the right reporters. This is also a good PR agency’s secret sauce. They know who’s the right person to pitch your story to. An experienced company will also know how to develop the relationship with the reporter before the initial send. An embargo means that all reporters get the story but aren’t allowed to publish it till a particular time. This strategy usually only works if you have an interesting story or you’re a massive brand. This strategy usually works when you’re either pitching to a well-known publication, and they need that exclusivity to justify the article. Another option is that you have an OK story for a good publication and that’s their only condition for taking it. The idea behind this is that they are taking a risk with publishing your story and because they think it’s not strong enough, they rather are the only publication that has it, so if people search for your story – they’d at least get the traffic from that. This is usually the worst situation to be at. Also, the worst strategy to use. This means you send your pitch to all the reporters you mapped, hoping some will pick the story. This is self-explanatory I think. Send a follow-up email to make sure your recipient got the email (if they didn’t answer). Journalists get pitched hundreds of times a day. They don’t always see every new email that gets to their inbox – this is why the follow up is so important. Now that you know the very basic framework most PR agencies work by, it’s time to show you the hack. How does the PR hack work? Now it’s time to get into the PR Hacks. To get into the mindset, you have to think back to ‘Step 3’. Assuming you’ve found your story’s angle (and it’s a good one), the next hurdle is finding the right person to send your story to. The more focused you are in who you’re sending the email to, and the clearer your pitch is, your likely hood of getting featured increases. The core of this hack is understanding where did your competitor get their PR from; Who wrote about them and where. In other words – what publication should you focus on, and who’s the right reporter to pitch the story to. Websites that have published articles about your competitors are more likely to publish articles for you. Think about it this way – If you saw your competitor’s being mentioned on news site/blog, this means this publication is interested in your kind of stories. And the journalist/blogger who wrote about them? Is interested in the market you’re in. This one should be easy. 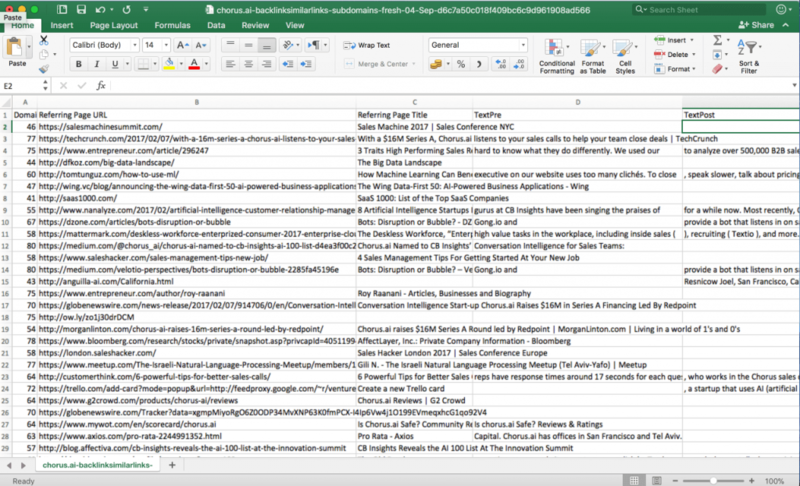 If you’ve done your market research right, by now, you should have a cohesive list of all your competitors. After you’ve created a list of 1-5 competitors, you’re ready to go to the next stage. Sure, you can plug in your competitor’s name in Google and start manually searching for they’re latest PR coverage. But it will take hours. Also, you’ll only get the big publication that has good SEO, and probably the ones the keywords you searched for a match the ones they used in their post. You’ll miss out tons of useless results and waste at least a day or two. (Hey there hackers, If you’re thinking about scraping Google’s results- you’d still be missing tons of articles). 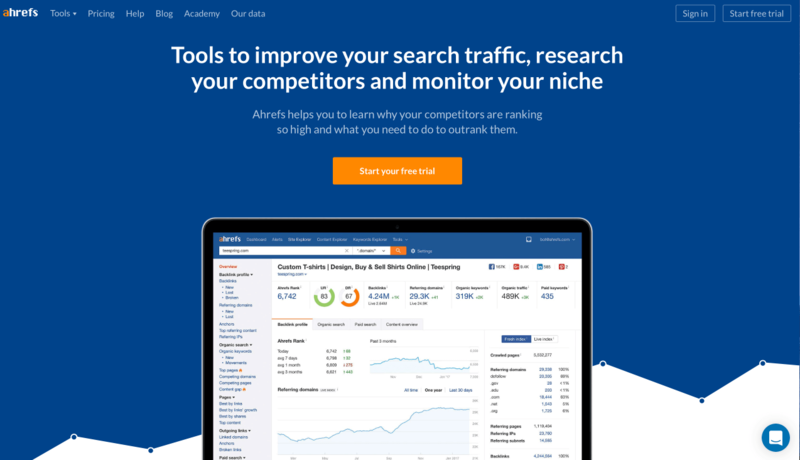 To avoid aimless, time wasting searching, take your first competitor’s name and head to Ahrefs.com. 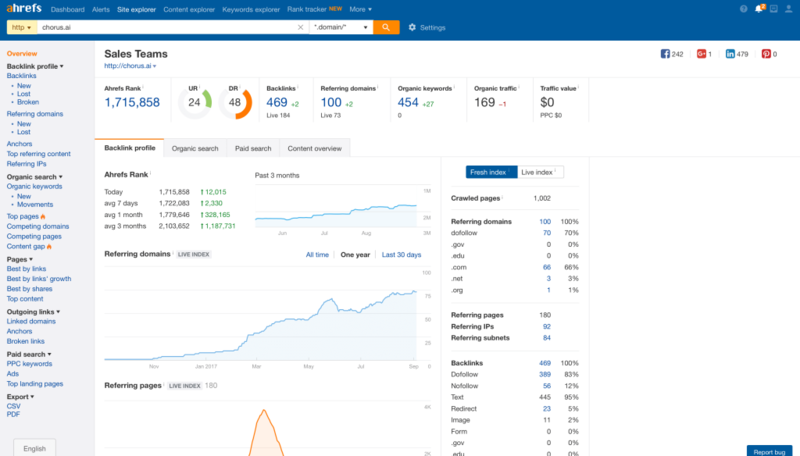 Ahrefs- a tool for researching backlinks, traffic, and keywords. Aref’s has a free trial you can use if you don’t want to pay right away. Start your free trial and do the initial onboarding process. Do it now, before you continue reading. 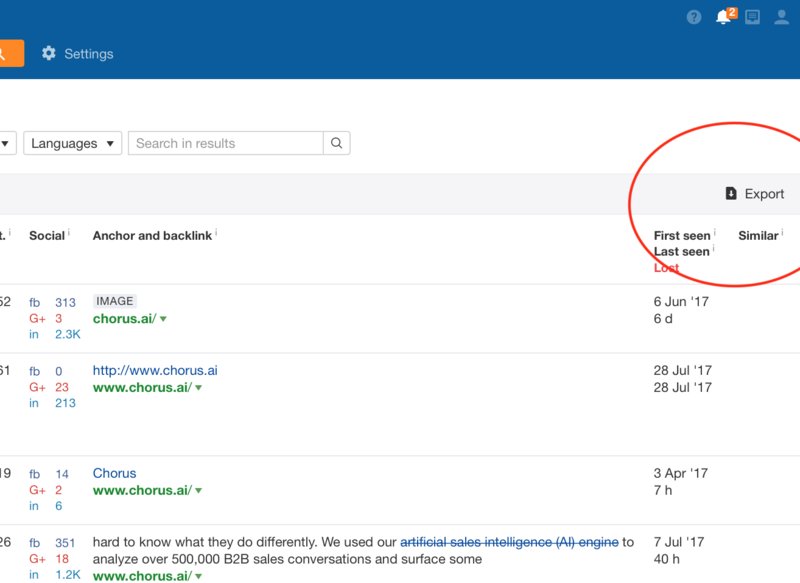 Now, plug in your competitors URL in the search bar (we’ll use Chorus.ai as an example. Next thing you want to do, clicks on the tiny ‘Export’ button on the right. 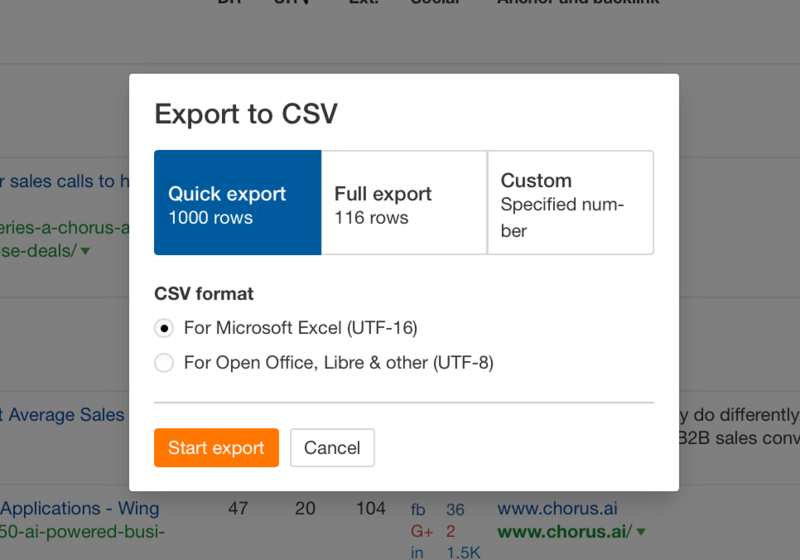 After clicking on export – you’ll be prompt up to choose platform + extent of the report. If it’s not too big (over 5K links) just download the whole report. The actual download link will show up under the mailbox icon on the right. 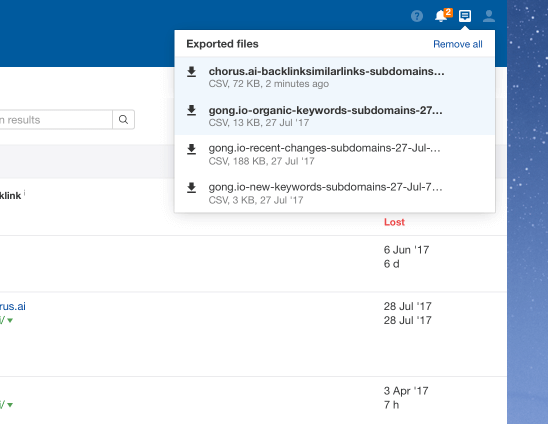 Click it to open the menu and then click on the download sign next to the report you want to get. 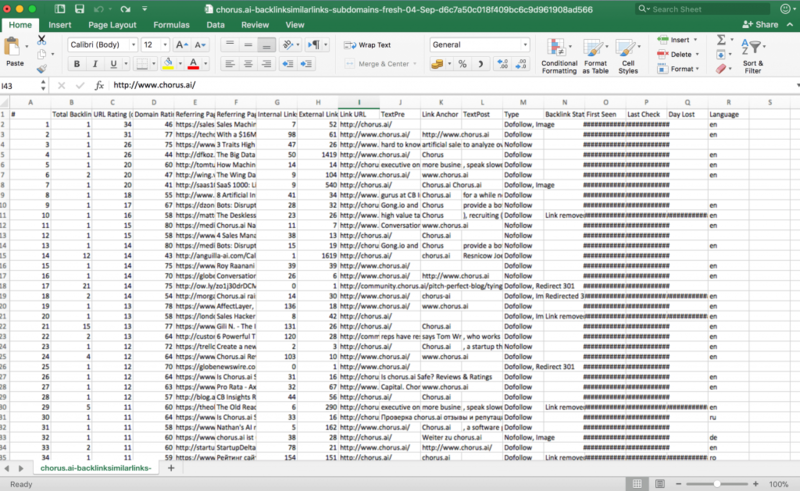 You’ve now downloaded an excel spreadsheet. Don’t panic over the crazy amount of information on the spreadsheet. You actually need a few very specific things from it. 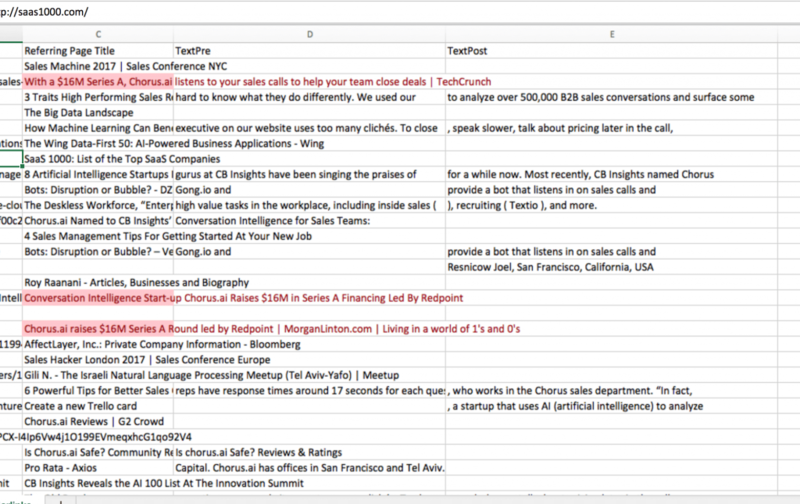 In your spreadsheet highlight 3 columns: ‘Referring Page Title’, ‘TextPre’ and ‘TextPost’. 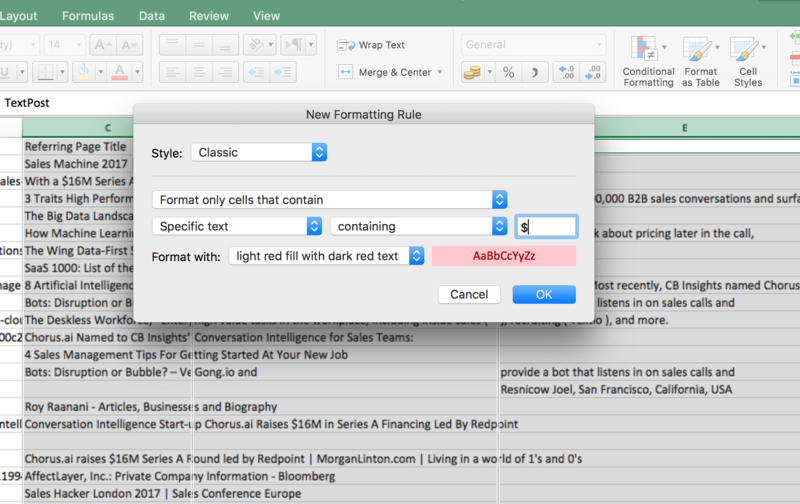 Click on ‘Conditional Formatting’ -> Highlight Cells rules -> Text that contains. At the search field – put in a keyword that might represent your competitor’s story. Notice how the relevant stories are marked in red? These are my potential targets. Add them to a target PR excel sheet. 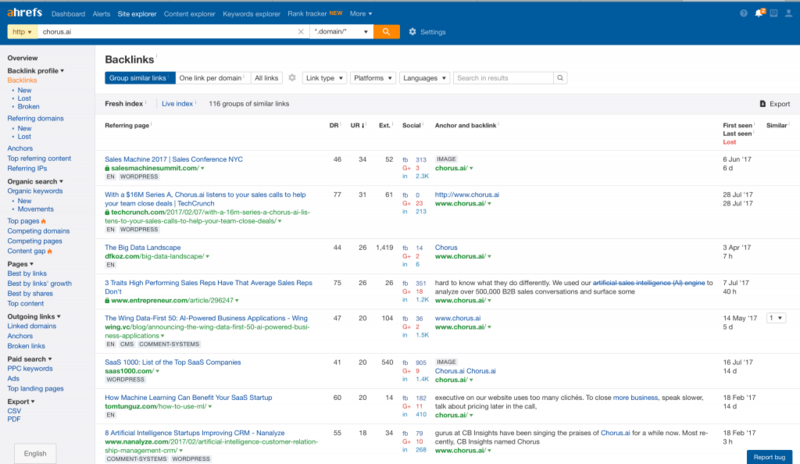 You now have a list of stories about your competitors. Obviously, you know these publications are interested in your news. Now you want to know who to pitch your story to. This is easy – plug in the URL from your competitor’s backlink report in your browser and go to the original article. Almost always, the name of the journalist will be on the top, next to the headline. John James is our guy. Back in the day, finding a journalist’s email was a task reserved only for the PR experts who had the right connects. Nowadays, anybody can find anyone’s email easily. You can use services like Rocket Reach or Email Hunter to find John’s email for example. Writing a good email pitch is hard. You have to grab the reporter’s attention, make sure you convince them they’re the right person for your story and the reasoning on why they should write about it. Luckily, all the information you need to increase your chances of getting the reporter to favorite you is already included in the process you’ve just done. 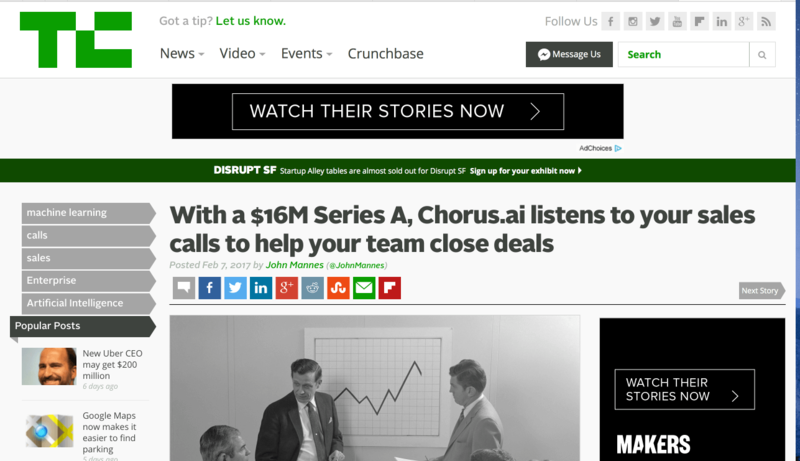 To make the example clear, I’ll use the Techcrunch article as a place holder. Subject line: Because he wrote the article, a mention of it will grab his eyes faster than a name of a company he’s never heard of. He’ll think the email is actually about what he wrote. My name is: Well duh, right? I’m sending you this email because: This is where you show you’ve done your research. You’re pitching him for a reason; he already said ‘Yes’ once to a similar story, it will be harder for him to say ‘No’ to this one. Do you think this might be interesting for your readers? You’ve talked about yourself enough, focus on their benefit now. What do they get out of this? This email is so personalized to their past work, past interests and still focuses on giving them and their readers value, that even if a reporter would say ‘No’ – they’ll still probably reply. Having a great story for your next PR Cycle is a must. If your story isn’t good – then it’s a no go, no matter what you do. But by using this method to zero in on reports and publications who’ve already taken an interest in your competitor, you’ll be doubling your chances of getting coverage. Remember, everybody wants to feel acknowledged for their work. By using this method, you won’t be starting cold with a reporter, but it’ll be easier for you to build rapport with the right person in the right publication. Are you ready to get your name out there? 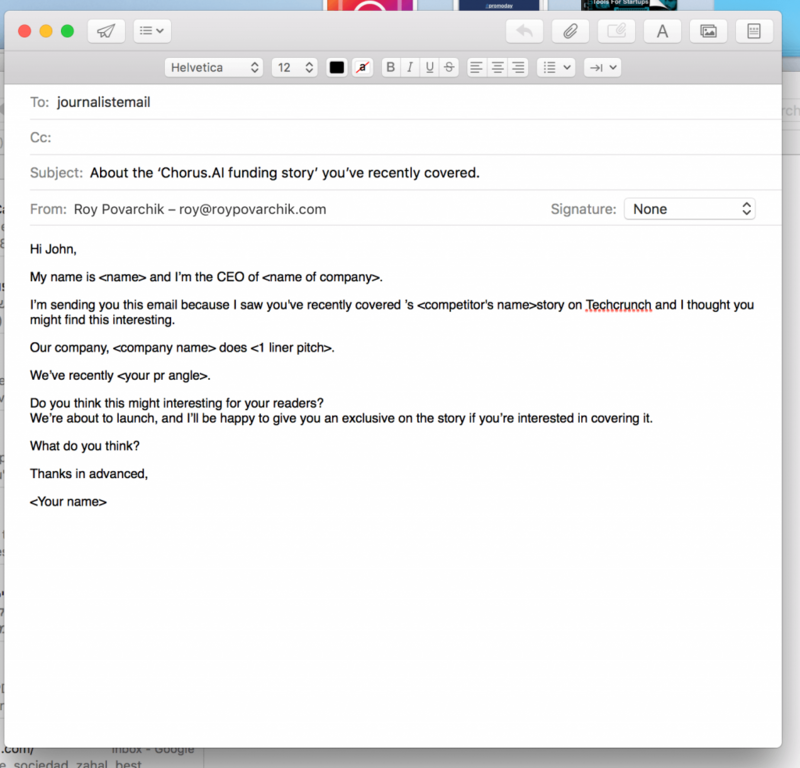 What does your pitch email look like? Share it in the comments to get feedback!